The excitement of using digital marketing and being present on platforms like Facebook, Instagram, Twitter, LinkedIn, and Google etc. has gone up big time among small businesses in last few years, but the unfortunate fact is that faster it goes up sooner it falls down. Reasons can be many but all the reasons boil down to one common reason ‘a wrong approach’. I personally believe that digital marketing is not just about creating a Facebook page or Instagram page it is an initiative which should be driven professionally if one wants to see the right results; otherwise, it shouldn’t be done at all. Some business owners think “ah Facebook It is so easy; my son can manage, my nephew can manage why to pay to somebody to manage Facebook”. True, it is easy, yet many fail and waste their money by randomly boosting posts without any clarity of objective and right audience. No doubt your son or nephew can manage your business’ online marketing if they’ve got the right knowledge about it, enough practical experience and have required skills. The biggest mistake that many small business owners make is thinking that if their son or nephew is getting so many likes and comments on his pictures and posts on his personal profile; they can do the same miracle to their business page as well. Practically speaking it doesn’t work that way. Getting likes and comments on pictures, videos, boomerangs, and GIFs on a personal profile is way too different than achieving the same on the business page. And even if that’s achieved; it should convert into real paying customers, which is the real task. Your son or nephew is either studying in college and does it on ‘whenever he’s free basis’. Remember digital marketing is all about regular and timely engagement. 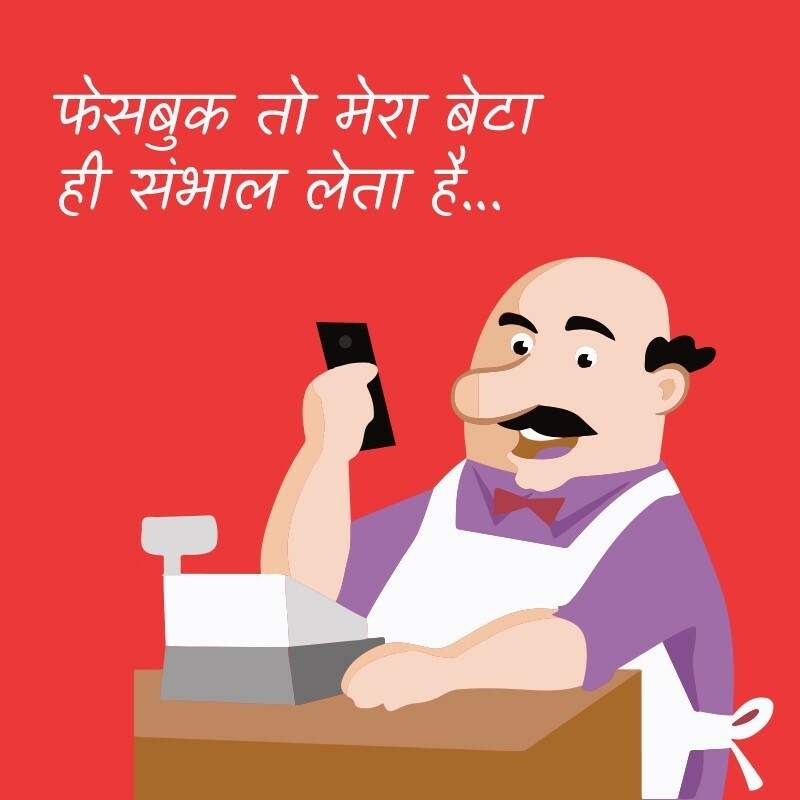 Your son or nephew knows a few mobile apps and creates memes using readymade templates. Sir, it is custom design and content that will differentiate your business from others. Your son or nephew saw something excellent of your competitor and replicated the same. Digital Marketing impact multiplies with well thought of strategy and proven tactics. Your son or nephew is excellent in Facebook and Instagram but knows nothing about Google, Twitter, and LinkedIn. In my opinion, digital marketing fetches better results when all the platforms are exploited concurrently and work in an absolute cohesion. Agree, your son or nephew is great in Adobe Creative Suite, superb in Google, Facebook, Instagram, and Snapchats of the world, next to Shakespeare when it comes to writing and brilliant in data analytics. Remember they say more people, more ideas and with more ideas come better solutions.